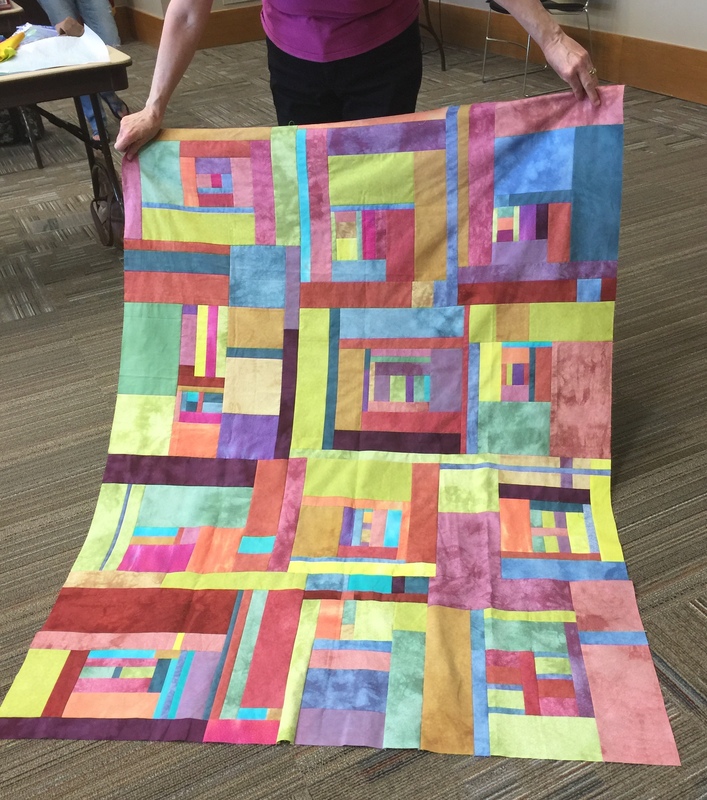 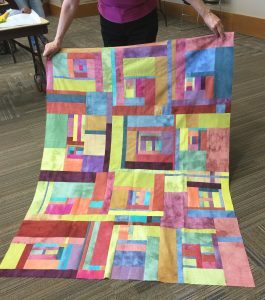 I was recently in Franklin TN teaching a class for the Cumberland Valley Quilters group, when one of my students shows us a sampler she made using the fabrics that she dyed in my Fabric to Dye for Class several years ago. 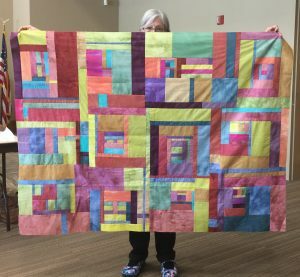 This is a great example of using up fabrics!! 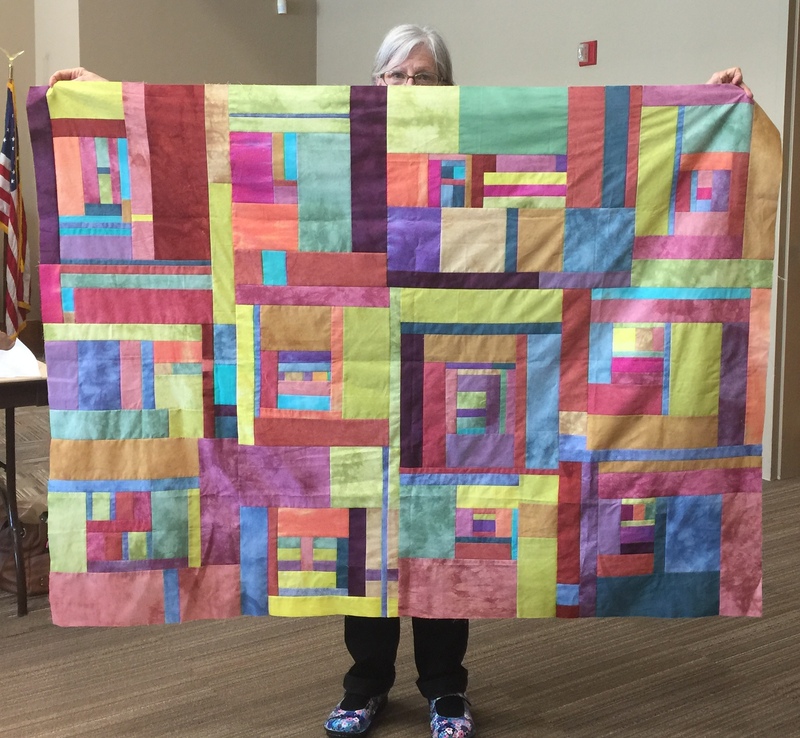 Good job, great quilt top.